Happy (Almost... Kinda Sorta) Holidays and Thanksgiving Eve! As you may or may not know, vegans only purchase products that contain no animal products and also those that are not tested on animals. This can seem confusing at first if you aren't familiar with the lifestyle. But fear not! It's actually not very complicated since many companies list these now -- but to make it even easier, I will put together gift guides to hopefully make the gift giving experience smoother. 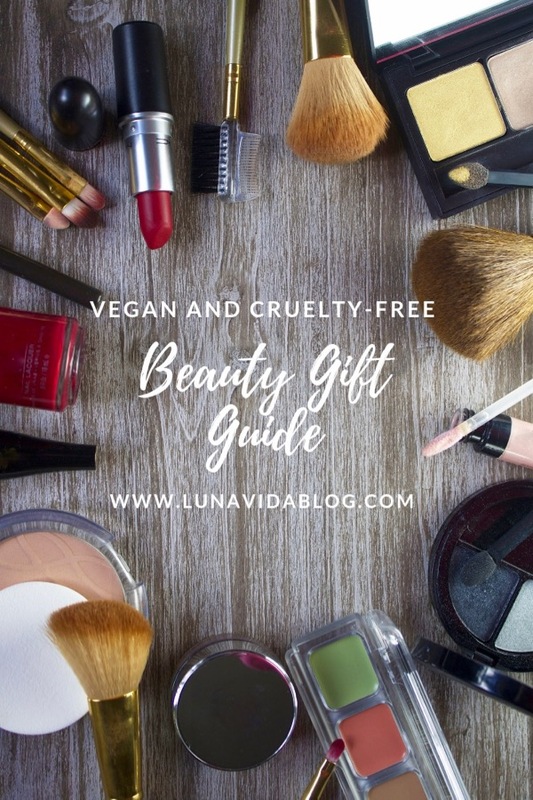 Plus, even if you or the person you're buying a present for isn't strictly plant-based, it never hurts to support businesses who don't hurt animals! It Cosmetics Airbrush Buffing Foundation Brush I am a novice when it comes to cosmetics, and most days I don't even put makeup on. When I do go all out with foundation and all the things, this is my go-to brush to cover and smooth. Pacifica Indian Chai Lip Balm This is one of the very best flavors of chapstick, plus it's super moisturizing. I also have this lip scrub, which I've talked about before in this post, and am equally as obsessed with it. Urban Decay All Nighter Long-Lasting Makeup Setting Spray As I mentioned above, I am not super into makeup; however, when I do put on a full face, this setting spray keeps all my hard work in place - no matter what the weather is outside. Tarte Lights, Camera, Lashes 4-in-1 Mascara This is my all-time favorite. It gives you the longest eyelashes and never smudges - yet it's still easy to take off at night! This mascara is the only one I wear, and I've turned my mom and sisters onto it too. Pacifica Travel Size Indian Coconut Body Butter This scent is so delicious! This particular bottle of lotion is perfect for throwing in your purse or carry-on bag too. Real Techniques Makeup Must Have Brush Kit I received this set complimentary from Influenster for testing, and I absolutely love it. I'm not a professional by any means (in fact, I'm not really great at makeup application at all) - but these make it easier for sure! Paul Mitchell Tea Tree Hair Products Holiday Gift Set I love the smell of this shampoo and conditioner. 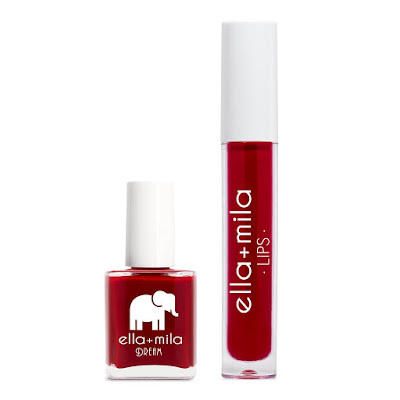 It's also paraben free and color safe! Pacifica Roll-on Perfume Trio These are perfect for tossing in a bag for on the go. I have most of these scents, and I am a big fan of them all! 5 Pack of HURRAW! Lip Balms I tried these out for the first time a few weeks ago, and it's safe to say I am hooked. Alba Hawaiian Detox Renewing Lotion Volcanic Clay This is the lotion I use every single day. It hydrates so well but isn't sticky or stinky at all. 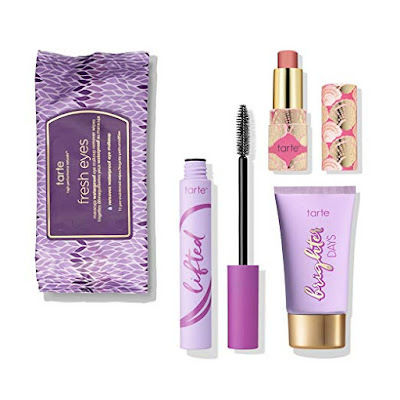 Tarte Party Prep Skincare Set Perfect for all the upcoming holiday parties! Alba Botanica Papaya Anti-Acne Sheet Mask I love this line of acne-fighting products. They're super affordable too! Tarte Mermaid Staycation Hydrating Skincare Set This kit is currently 25% off with code VIP25! I was sent these clean beauty products to try out, and I immediately fell in love. 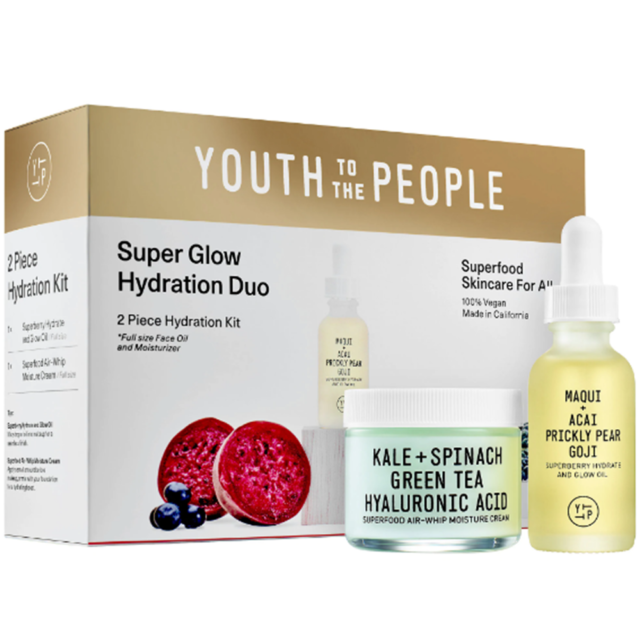 After just a few applications my skin already looks transformed. Smoother, brighter, and more moisturized, oh my! As I continue to use them, I have a feeling these may become some of my all-time favorites. You may realize Pacifica is featured a lot. That's because 1) you can always count on it being vegan, 2) everything is cruelty-free, and 3) every product I've ever bought myself has worked super well. It's a top brand for me for sure! What are some of your favorite animal-friendly brands? What are you giving (and/or asking for) this holiday season?